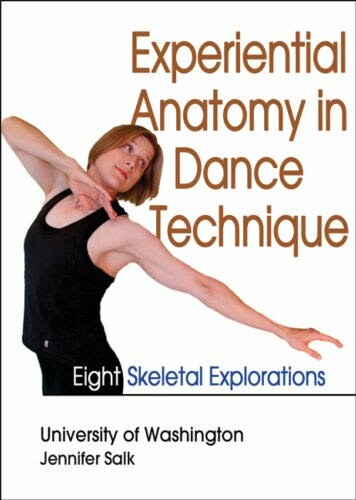 Teaching dance just got easier with two new releases from Human Kinetics, international publishers of sports and recreation resources: Dance Units for Middle School and Anatomy in Dance Technique: Eight Skeletal Explorations. Faced with increased presence of dance in elementary schools (middle school in the United States), coupled with teachers that lack dance experience, Judi Fey (MEd) created Dance Units for Middle School to address this issue. 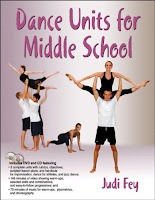 Specially designed for generalist teachers, this book/DVD combo includes three dance units for grades six through eight including improvisation, dance for athletes, and jazz dance. It also includes scripts for teachers, a music CD and a DVD with seventy-seven video demonstrations. Anatomy in Dance Technique was created by Jennifer Salk (MFA) to give dancers a better understanding of human anatomy, thus helping them to make better choices about movement. The DVD covers eight key areas of the body: shoulder joint; shoulder girdle; hip joint; knee joint; spine; rib cage; tibia and fibula; and ankle, tarsus and toes. A video instructor assists students in identifying these areas and provides movement and choreographed phrases for each.